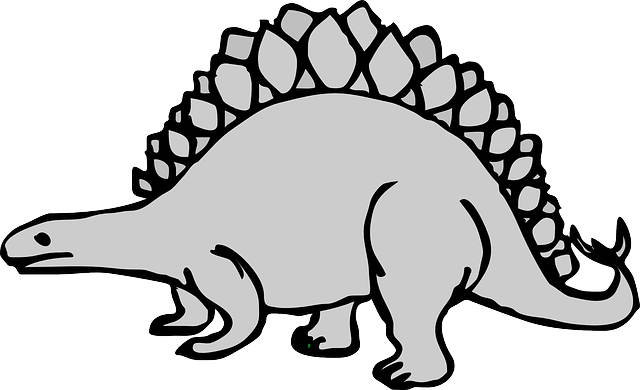 Don’t be a marketing dinosaur! Today I am pleased to bring you an infographic with 8 great marketing tips to keep your skills honed and your tactics up-to-date. 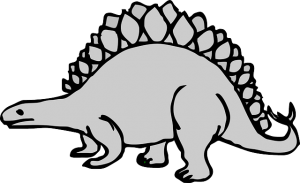 It’s easy to forget that marketing is a rapidly changing science and if you let your skills go stale you’re in danger of becoming a marketing dinosaur! The infographic below was produced by TheLadders.com and is published here with permission. When you’re looking to recruit, TheLadders.com, based in the USA (New York to be precise) will bring you the right tools to enhance your hiring strategy. You can search for candidates and post your requirements to connect with suitable professionals quickly and easily. Their Mobile Recruiter will revolutionize the way you recruit, making talent acquisition fast and easy. You can recruit via your desktop or mobile accounts interchangeably. With just a few taps on your iPhone, you can run unlimited searches, contact candidates instantly via phone, email or text, and review applications for all your jobs. While this site will probably be of most interest to those of my readers looking to recruit help for their businesses, some of my readers may not yet be ready for full self-employment, in which case there’s plenty of information on the site to help freelancers. Here are the marketing tips…..
You will see from the facts included above that a marketing career can be a great option to pursue. However while skills learned in a management course are “evergreen”, marketing skills need to be kept up-to-date because they quickly go out of date. I hope you will find the resources and tips on the infographic helpful and that you will use TheLadders.com as a place to connect with professionals that will move your business forward. Marketing is definitely getting to be a lucrative profession and there really are very few who have any clue what they’re doing and many of them work only for themselves. Hmmm good to know the resources and the needs. You make a good point – it’s one thing to do “xyz” for a living (writing for you, computer programming / book-keeping for me – in my offline business) but without marketing the danger is running out of work. So many solo-preneurs are great at what they do, but not at marketing – so we have to keep those skills updated. Glad Shopify is going well for you. Loved all that you shared in this post, and yes, the infographic says a lot. I’m still new to marketing, so it’s always good to learn about it all from any and every way. TheLadders seem interesting, and I’d be checking it out after commenting here. You are right, marketing skills is something we need to keep sharpening and learning over time, so that they don’t become outdated. Glad you found the infographic interesting. All great observations and ideas, with the stand out being the necessity for testing & tracking. Good read. Thank you. You’re no dinosaur and, as one who enjoys your blog regularly, I think you’re putting your education to excellent use! I’m not as good as I should be with tracking and testing – that’s work in progress – but the more reminders I get, the better. Very good article. Thank you for sharing such a useful information . “Never stop learning”! i favor that one! It’s true. amendment could be a constant and therefore the speed has picked up. What’s your highlight from this analysis promoting report? Yes, never stop learning is very important in such a fast-changing field. My other highlight was that writing is one of the most marketable skills because everyone needs copy. Wow, I had no idea that the marketing industry was growing at such a fast rate. When you think about more jobs coming on to the market you’d have no idea that this would make up a large part of the pie. Although it makes perfect sense, there are so many different ways and tactics to reach customers you need to stay in the know and be cutting edge. Thanks for the list of places to find good marketing tips. I’m sure they’ll be very helpful and useful in the future. Yes, it was quite an eye-opener to me too. I think if my sons were looking for a new career these days I would recommend marketing, whereas I wouldn’t have done so a few years ago. I hope you’ll enjoy looking through some of the sources of marketing advice recommended in the infographic. Really motivating and practical tips to market efficiently. Will check Ladder.com and let you know for sure. Great to be back here after my Xmas holiday. And what a cool infographic you’ve shared. 1. ‘If You Have An Idea Share It.’ I like this one because if we do it, our sphere of influence will be expanded. An example: since I started sharing other people’s posts on Twitter (including yours) the number of new followers I’ve attracted has increased dramatically. Sharing not only helps our business it feels right to do it. 2. ‘The Successful Marketers……Are the Ones Who Learned How to Study.’ This is vital. One thing I’ve noticed about failing marketers is that they don’t know much. Why? They didn’t learn their topic. To be successful, people need to have a passion for learning. 3. Writing is Probably One Of the Most Marketable Skills Because Almost Everyone Needs Copy.’ It’s true. Most people hate to write, including business owners! If marketers improve their writing skills, they have acquired a new marketable skill. Ka-ching! Twenty years ago I was a pro copywriter. Even way back then clients were paying me $200 an hour. Pretty good! A story….. My son is a website developer, but he can’t write. He’s always asking me to write copy for his clients. My response? ‘Son, you can’t afford me!’ ha ha. There is always a market for someone who can write. The good news is that it’s a learnable skill. I’m glad you like the infographic – when I was offered use of it I was impressed too. Regarding the need to study, for a long time I tried to “DIY” without investing in any training – and what a mistake that was. Since I finally admitted that I didn’t know much about blogging and could do with a hand learning more stuff, my progress has increased no end. When I think back to the time I wasted for the sake of investing a few dollars to learn faster, I could cry. My biggest tip to anyone starting a business online is to get some good training. I love writing 🙂 I’m not of the $200 an hour calibre (if only) but I feel my writing has improved since doing more blogging. One day I compared my blog post number “1” with blog post “n”. The first one was so dire I was too ashamed of it not to improve it, even before I could compare it unfavourably with the later one… if you see what I mean! Thanks for sharing my posts. I enjoy sharing other bloggers’ posts because it gives my readers something interesting to read without me having to generate it myself. Even my most devoted fans appreciate a change from continual “me-me-me” and instead seeing the excellent material to be found on other sites – including yours. So actually I feel that other bloggers are doing me a favour by having a prominent share button! Thanks for sharing such an informational infographic offering some great tips on marketing. With the evolution of digital media, marketing strategies have changed a lot from what it use to be traditionally couple of decades ago. These tips or experiences shared by industry greats themselves would definitely be a great learning for budding as well as established marketers out there. Keep sharing such cool information. Digital marketing strategies are changing all the time and if we don’t take current training we fall behind at our own peril. Very interesting info-graphic! It just shows that the internet is creating more and more jobs and the traditional careers are becoming a little outdated. I don’t have any degrees but I do know a lot about marketing and most of my income comes from freelance writing. Most of my friends, who do have degrees, are jealous that I can make money doing what I love. But it’s not really that difficult. You just have to focus on building your skill set. Thanks for sharing this info-graphic! Although I wouldn’t have said it a few years ago, I now completely agree with you that marketing is more important than formal degrees and qualifications. My sons went to uni and neither one of them is working in the area they qualified in. They are both self-employed – with different skill-sets – and enjoy what they do, whereas many of their equally qualified friends are either unemployed or slogging away at jobs they hate, spending hours commuting. I’m delighted that you freelance work is rewarding you in enjoyment and financially. It’s true that marketing is evolving all the time. The basic things still work though, but mostly engagement and building relationships. Without these a marketer is pretty lost in this day and age. Yes, I guess we have to work at the basics of relationships and engagement and build on those with extra skills as and when we can. Glad you like the infographic. Thanks for visiting. I saw this same infographic shared on Sylviane’s post earlier this month. I found it very interesting as well. Let’s face it, I think that almost everything that we do in life and business is about marketing. Whether it’s ourselves or our business. I’m not surprised by these statistics and I guess as a great career move for someone eager to pursue this area then marketing would be their best bet. Just think of all the experience they’ll get and the things they’ll continue learning along the way. Yep, you can’t go wrong in this area. Welcome to a new year my dear and I hope it’s going to be your best ever. You definitely deserve a good one! I’m pleased Sylviane thought the infographic interesting enough to share as well. Thanks for your good wishes – I could certainly do with an improvements in 2016. My good wishes are returned to you too. Hello Joy, That title of yours is Awesome! I imagine it will bring in all kinds of people LOL! I just loved the infographic, sure was an eye opener for me, marketing is changing the way we do things that is for sure HUH? Glad you like the title and the infographic! Marketing is certainly ruling the roost nowadays. Thanks for persisting with the commenting problem you had and helping me get to the bottom of it. What a relief! Great infographic! Wonderful tips on marketing. My favorite marketing site is HubSpot and they provide so much to learn. I’m glad that someone thinks a liberal arts degree works well for marketing. It is true that writing is a huge part of the education. I’m glad you liked the infographic and the tips it contains. Good reminder to use HubSpot – I must confess I haven’t been there for quite some time! I also look forward to hearing from you about your new “beta” service. Hi Joy, its my first comment on your platform, glad that I found it, can’t recall via whom exactly but I actually bookmarked it so to get back to it because I found it really interesting. Coming to the post, that’s really interesting, considering that I am a Marketer too, I found the stats and suggestions quite helpful, thanks for sharing that. Coming to the one advice that I would like to give to Marketers, is, always make your case for any kind of marketing endeavor an objective case, where you can prove objectively how you are going to do it and how will it deliver what is intent to deliver! Trust me if you can satisfy your boss, stakeholders/shareholders objectively by providing methods, tools that can actually justify for instance the financial support you need, investment in a particular thing, event, activity then I can assure you, you will get it. Yes its hard to do it that way, I know , I know.. but like Biz Stone once said, you should try your best, that’s what I am talking about, not trying is not an option! failure is not an option! Lastly great piece, I shared it with my followers on gplus! I’m glad you enjoyed the article, and thanks for adding your own vital tip. It’s important to be objective as a marketer when you’re a sole trader – because otherwise you can just become emotionally attached to the idea that “the xyz campaign” is a winner, or a particular list-seller is a really nice person, and sales will follow eventually. So how much more important to stay objective when it’s not your money you’re spending, and there needs to be a financial argument! Thanks for sharing my article and welcome to my blog, and I hope to see you again. thanks for the infographic, I like it! I’m not a marketer, I’m a tech entrepreneur but its good to know these things. We started a blog since we had a FB page that was doing well and people kept asking for one. It’s good to have these tips 🙂 Thanks! It seems these days that we all have to have a marketing hat on even if it’s not what you expected. I think you did the right thing to get your own blog, because it’s under your control, whereas FB or any of the other sites could shut you down for some unintended breach of their T&Cs. I’m heading over to your blog later this evening.